This feature is an extended version of the bridal jewellery trends piece in the Nov/Dec issue - if you love this, make sure you browse the rest of the issue of Bridal Buyer here! Aiming for the stars is set to be a huge trend for brides – it’s hardly surprising after celestial patterns have been gaining popularity both on wedding dresses and in every day fashion. 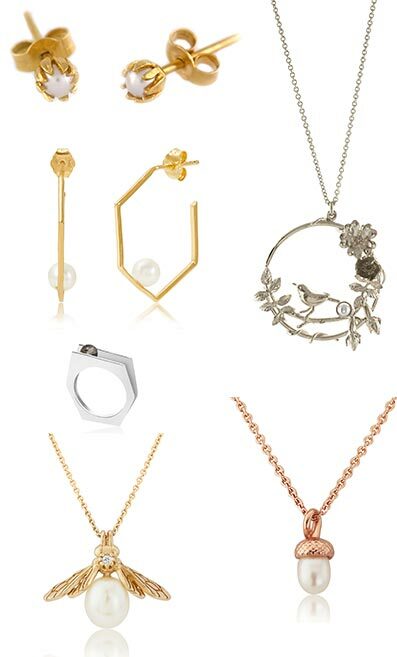 The NOVA collection from Vixi (vixijewellery.co.uk) is inspired by the sudden brightness of an exploding star and includes glittering star-shaped earrings, simple necklaces and delicate bracelets adorned with stars – perfect for adding extra dazzle to a simple wedding gown. 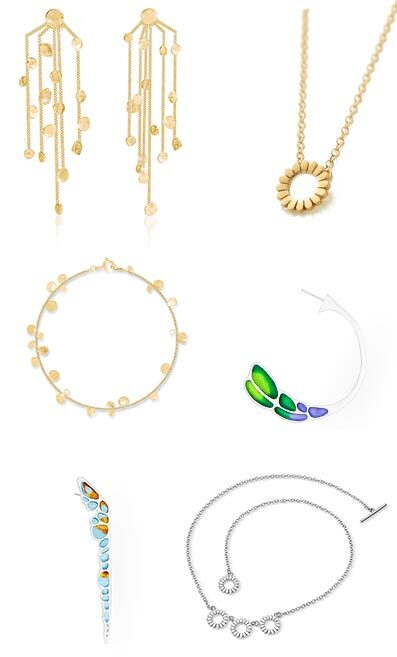 Popular jewellery designer Chupi (chupi.com) also led the way when it came to heavenly inspiration – their Your North Star collection features gold or silver discs adorned with a tiny sparkling gemstone framed by a star-shaped etching, on rings, bracelets, earrings and necklaces. Sif Jakobs (sifjakobs.com) showcased starry jewellery too – their Atrani collection featured irresistibly glittery star motifs in the form of earrings and dainty necklaces. Jewellery designers have been looking to nature when it comes to finding inspiration – such as Alex Monroe (alexmonroe.com) with his striking Plume collection. The intricate designs are made in solid gold and include a variety of necklace styles, stud and drop earrings and rings adorned with champagne diamonds. These intricate designs will be irresistible to boho brides and will also make heart-warming bridesmaid gifts that will be cherished forever. 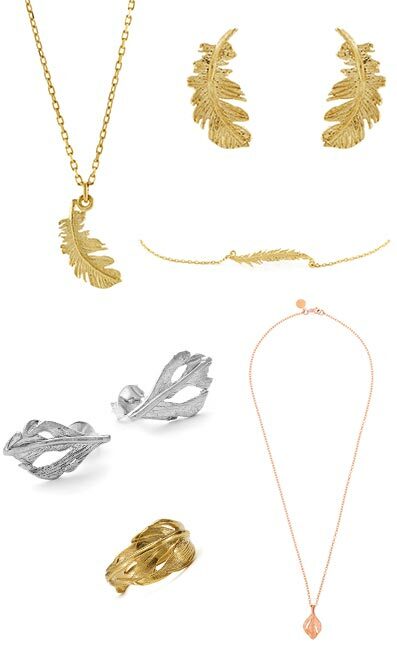 Feathers were also spotted in one of Chupi’s latest collections – the I Can Fly Swan Feather Collection, which is a chunkier take on the trend, ideal for brides who want to make a statement with feather inspired pendants and bold drop earrings. We all know pearls are a traditional bridal accessory, but many of the designers exhibiting at IJL were putting a fun twist on that tradition and making pearls playful – ideal for the modern bride. We love Alex Monroe’s use of pearls in his fun, quirky jewellery which goes to show pearls don’t have to be the safe choice. Birmingham-based jewellery designer Rachel Whitehead (rachelwhitehead.com) also exhibited items that had fun with pearls – ideal for brides celebrating with a rustic or woodland wedding. Neola also used pearls in an exciting way – making them modern with angular settings and different colours. Consumers are more conscious than ever of the journey their products have taken to get to them. We saw lots of eco-friendly and ethical jewellery items at the show, which are ideal for brides who want to do good with their purchases. Flora Battachary (florabattachary.com) creates elegant jewellery in association with charity Commit2Change and donates 10% of sales profits to go towards helping girls in India gain life skills and an education. MonaPink (monapink.com) is proud to create ethical jewellery that would suit an alternative bride looking for something fun and colourful. Owner Monika Kamycka explains: “I’d like to provide an alternative on the market to classic gold and diamond earrings for people who care where the metal and gemstones come from and how they are extracted.” The designs feature transparent enamel that catches the light beautifully. Lily Flo (lilyflojewellery.com) was also displaying a stunning range, all designed and made in London from recycled gold and silver, and all their gemstones are responsibly sourced. Pavé is a stunning technique that allows for maximum sparkle on your jewellery, and there were plenty of examples of this at IJL. It’s ideal for contemporary brides who want a wedding day piece they can wear time and time again. 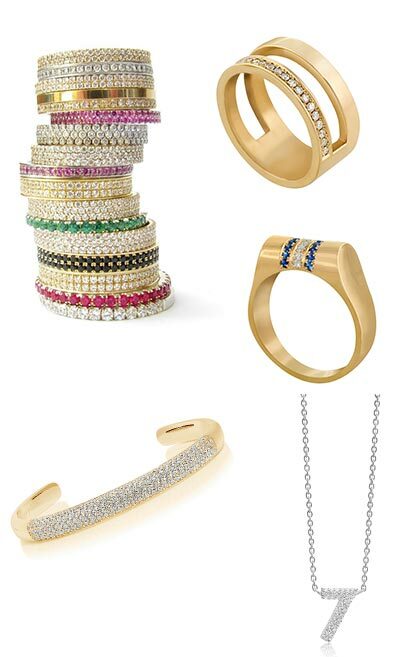 Edge Only (edgeonly.com) features pavé pieces that have a strong look – ideal for brides who want to make a bold statement. Carlos de Paula (carlosdepaula.co.uk) specialise in pavé jewellery which is handcrafted in their London studio – their rings would make for stunning statement wedding bands, or as glitzy bridesmaid gifts. Sif Jakobs have also embraced the trend, with pavé bangles and cute initial and number necklaces – the initial ones would be ideal as gifts whilst brides could pick the date of their wedding with the number necklaces. Want to branch out into selling jewellery? Read our guide to what you need to ask to guarantee a sale.